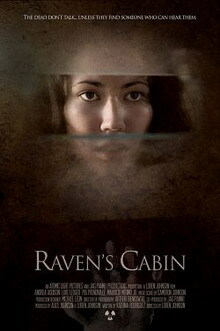 Buy or Rent Raven's Cabin (2012) Movie DVD & BluRay Online! Movie Plot: Bound, gagged and blindfolded, several teens are grabbed in the middle of the night and taken to Redback, a youth behavior modification facility deep in the Australian bush. They’re completely cut off from the rest of the world; isolated and tested in the unforgiving camp. Rumors travel through the camp that a few years earlier a girl reportedly hanged herself. But that’s just a rumor. Only the dead girl and her murderer know the truth and the dead don’t talk… unless they find someone who can hear them.